 The Benefits of Increased Documentation in Radiology - ONRAD, Inc.
DiagnosticImaging | When I have a busy day, I get intensely focused on viewing and interpreting the studies in front of me. That is the core of what I am trained to do. But lately, it seems I am being asked to add new information to my reports all the time. More clinical information; radiation dose information; more information about contrast media and renal function. Under pressure, I tend to feel irritated by anything that keeps me from that core. Sometimes that includes that ever increasing number of items I need to add to my reports other than the findings and impression. At times when I’m annoyed with that I reflect on several things that help to remind me that those things are critical to my mission: optimizing the patient’s overall healthcare. Radiologists are in a unique position in medicine. Today, not only do we get to receive information from a variety of sources, we often are the most rigorous in obtaining and reviewing old imaging. That is increasingly critical for patient management. We add clinical information from all sources, from the patient, old records and multiple specialist evaluations. What is interesting to me is that we then distill that information in our reports, as clinical history or in our impression and recommendations. That comprehensive information is then disseminated to a variety of providers. Radiation dose information may seem superfluous as of now. It’s a black box. We really don’t know how it might be needed or used in the future. By adding it to our reports and being conscious of it, we are providing an important function – potentially improved patient safety in the future. Moreover, this makes both us and the imaging facility more aware of dosing. It allows us to look for consistent variability in dosage by facility or to look for aberrant studies. I, for one, had become pretty complacent about radiation dosages. I really only paid passing attention to radiation dosages for years. Including the dose in my reports has brought greater awareness, and probably better patient safety. Similarly, comprehensively reporting our measurement or calculation of renal function affords safety for the patient. When they do have problems, we have an accurate baseline. Again, we, in safety world become more aware of the safety concerns and can forge a more proper policy. Overall documentation is for everyone’s interest. Certainly it is helpful legally. But most importantly it improves the patient’s health care delivery and increases overall patient safety.